It's a good spot to observe sunset. 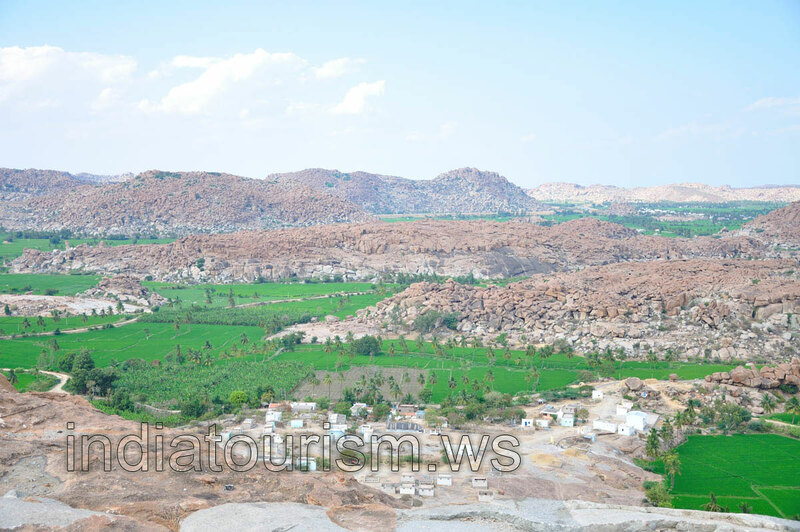 Hill is located on the other side of Hampi, across the river. So if you are here to explore the Anegundi area, do visit this place. There is a small temple at the top and a lot of monkeys! There is cool breeze also. There are plenty of stairs to climb so don't forget to take water. Beware of monkeys who keep looking for bananas and other food and can follow you around.